If they actually start producing oil, though, that could be a different story. Last week, the US government gave Royal Dutch Shell the go ahead to resume oil exploration in the Arctic Ocean. A high profile failure three years ago had forced Shell to shelve the project, and caused both the company and the government to rethink the wisdom of offshore drilling in such difficult conditions. Shell’s highly politicized project would not be the first to drill the Arctic in US waters, but it has been the subject of sensationalistic claims from people both for and against Arctic drilling. Take, for instance, Rose Hackman’s recent story in The Guardian that says that “[e]xploratory drilling, seismic testing and ice-breaking activities threaten to expose whales to damaging sounds, and ‘a deaf whale is a dead whale,’” referencing a publication by advocacy group Oceana. The available science, however, does not support the claim that bowhead whales will die if subjected to the sounds of oil and gas exploration activities. There are documented cases of whales dying because of underwater noise, but they have mainly been in beaked whales (which are in the toothed whale family—bowheads are baleen whales) exposed to military sonar. Military sonar is very different from industrial noise. “There is no evidence and little likelihood that most kinds of industrial activities could lead to deafness in whales, bowhead or otherwise,” says W. John Richardson, a biologist who has been studying the industry’s effects on bowhead whales in the Beaufort Sea, the region off Alaska’s north slope, since 1980. Richardson is an expert on the effects of sound on marine mammals. He is also the lead author of the widely cited 1995 tome Marine Mammals and Noise. Richardson says that industrial activity has not—at least, not yet—been linked to damaging biological consequences for bowhead whales. But seismic surveying will have behavioral effects on bowhead populations, he says. Multiple studies provide evidence that bowhead whales go out of their way—15 to 30 kilometers out of their way—to avoid drilling operations. Research shows that whales react differently to disturbance depending on whether they are resting, feeding, or migrating. Other behavioral changes range from the very subtle—small alterations in diving, surfacing, and breathing patterns only detectable through statistical analysis—to the dramatic, says Richardson. “If they’re particularly distressed by whatever the situation is, because the sound level is too high or it’s increasing very rapidly, then they may be swimming as fast as they can go,” says Richardson. To date, the evidence shows that whales will repopulate an area once the noise has died down, says Richardson. As a result, it’s unlikely that short-term disturbances would result in consequences for the whales’ ability to find food and reproduce. “But frequent disturbance by continuing industrial operations in a given area—[it’s] not so clear as to what the longer term effects of that would be,” he says. For their part, Shell says that this summer’s exploration activities will have no significant impact on bowhead populations. “Impacts from these sounds to whales and seals would be temporary and could result in, at the most, short-term displacement of seals and whales from within ensonified zones produced by such sound sources,” according to a document filed with the National Marine Fisheries Service. Yet surveying for oil in the Arctic is far from ecologically mundane. If Shell’s search proves fruitful, it will pave the way for oil and gas production. In that case, the potential consequences for bowhead whales—and for all of the other animals, and the Iñupiak and Yup’ik people that depend on them—become much more acute. The Bureau of Ocean Energy Management (BOEM) projects that the Chukchi Sea could eventually see more than 500 wells producing 4.3 billion barrels of oil over the course of 77 years. Development at that intensity would not only bring industrial noise, but the risk of oil spills and collisions between whales and vessels. At that rate of production, the BOEM estimates a 75 percent likelihood that a spill of 1,000 barrels of oil or more will take place during that time. The National Academies Press says that bowheads are unlikely to avoid oily water, and contact would likely result in injuries to the whales’ skin, eyes, baleen, and stomach. Between ocean acidification and climate change, bowhead whales are already headed for a rough future. The reality is that the effects of seismic testing on whales are nuanced, and not yet fully known. But the debate over Arctic drilling is highly polarized, and muddled enough, without sensationalistic claims distorting the story. Correction: A previous version of this article said that this project would be the first to drill in US Arctic waters. In fact, in the 1980s and 1990s, numerous offshore wells were drilled in the US Beaufort and Chukchi seas. 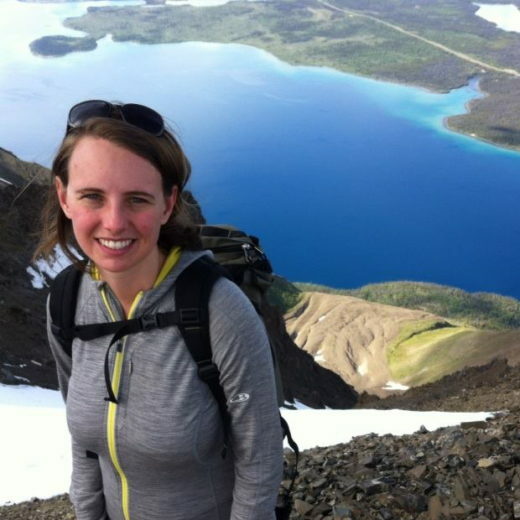 Jacqueline Ronson is a freelance science and environment writer based on Vancouver Island, BC. She previously spent three years as a reporter with Yukon News in Whitehorse, where she wrote about politics, business, mining, First Nations, energy, and the environment. Cite this Article: Jacqueline Ronson “Everyone Calm Down: Shell’s Arctic Oil Surveying Isn’t Going to Kill All the Whales,” Hakai Magazine, Jul 27, 2015, accessed April 23rd, 2019, https://www.hakaimagazine.com/news/everyone-calm-down-shells-arctic-oil-surveying-isnt-going-kill-all-whales/.